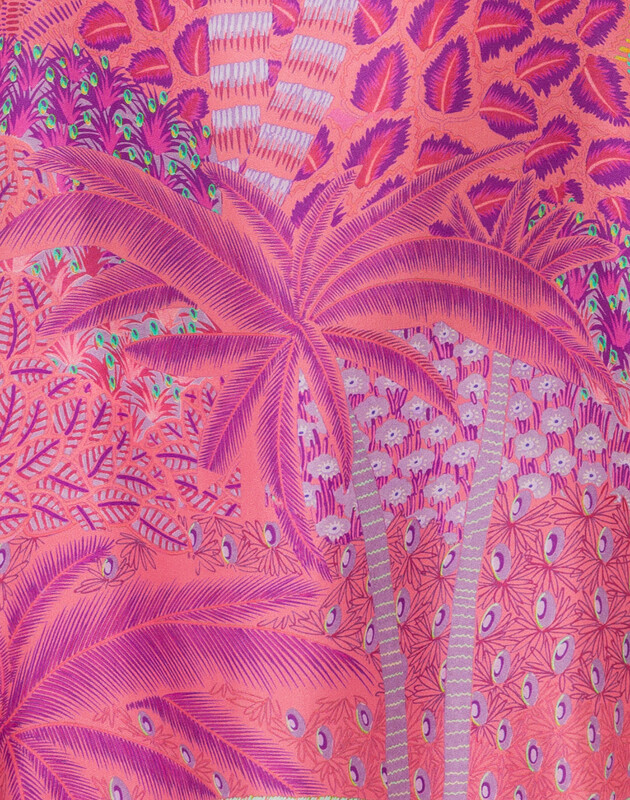 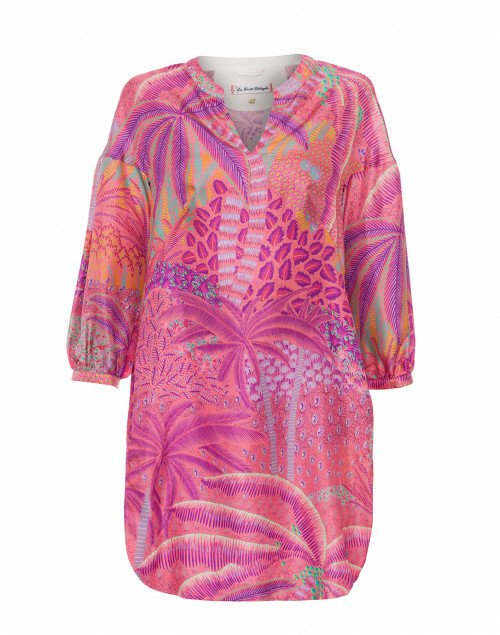 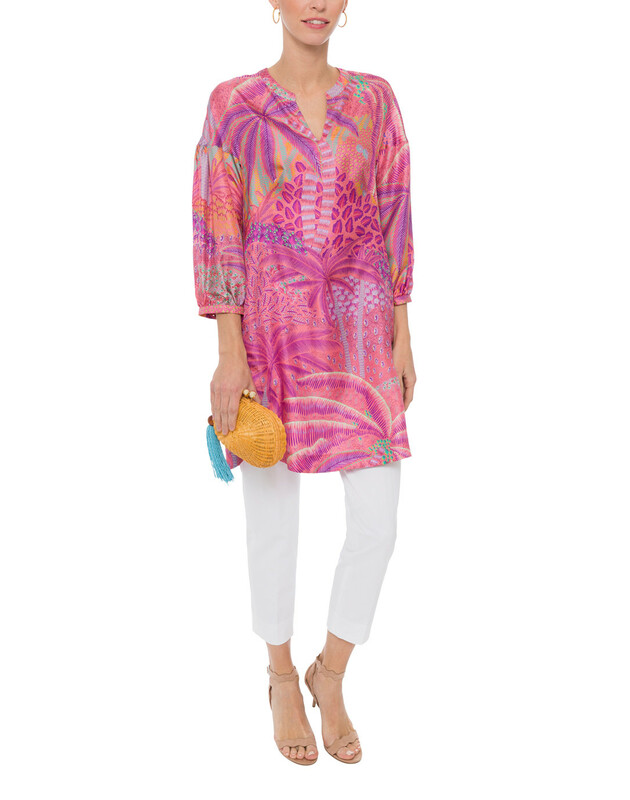 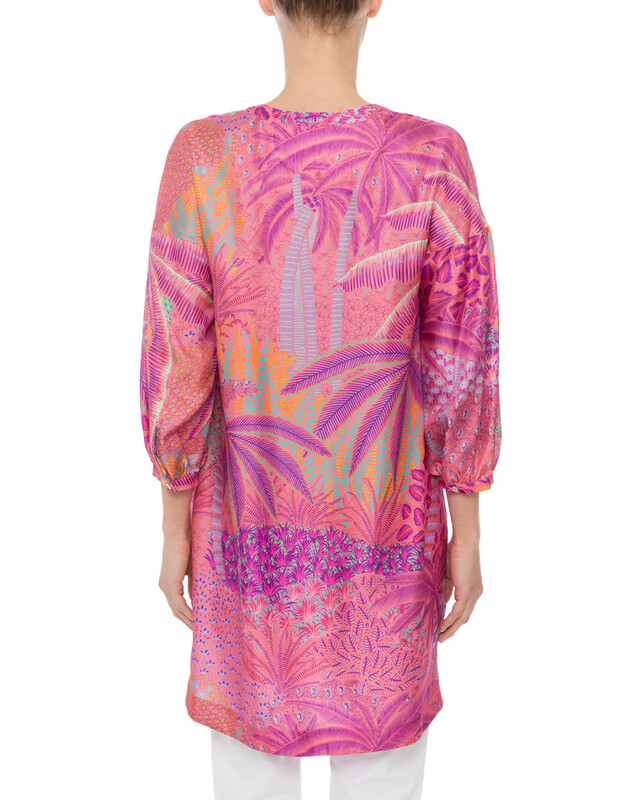 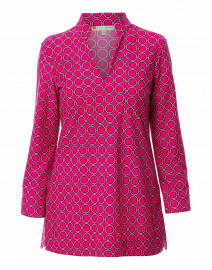 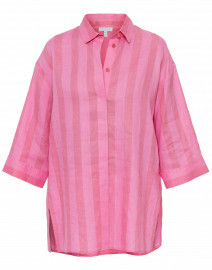 Le Sarte Pettegole’s pink palm tree printed tunic is an ideal pick for warm-weather vacation styling. 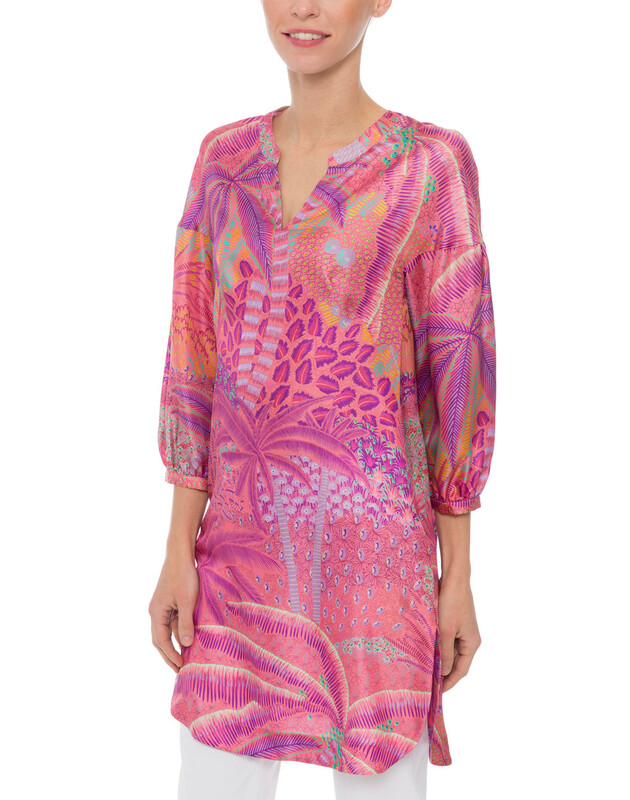 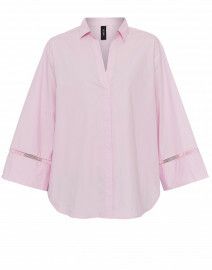 It’s crafted in Italy from soft silk satin and cut to a loose silhouette with balloon sleeves and a split neckline. 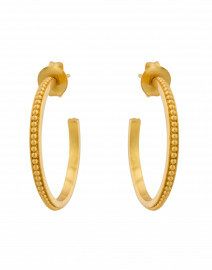 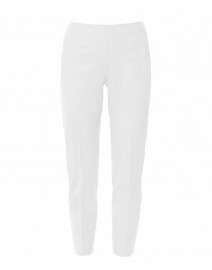 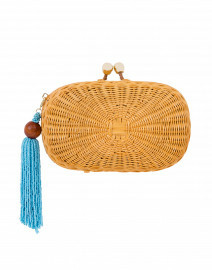 Slip it on with white pants and statement earrings for a considered daytime look. 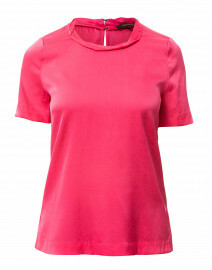 Length 35" 35.5" 35.5" 36" 36" 36.5"
Shoulder Width 22" 23" 23.5" 24" 24.5" 25"
Bust 36" 37" 38" 40" 41" 42"
Hip 41" 42" 43" 46" 47" 48"
Slit Length 7" 7" 7" 7" 7" 7"